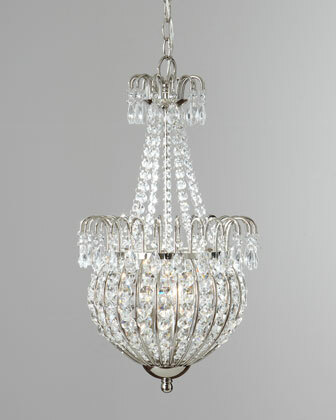 Pendant lighting is a great alternative to traditional overhead lighting. 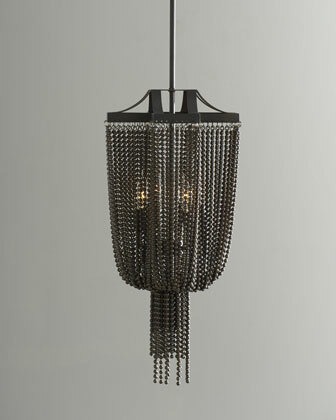 Luxury pendant lighting is versatile, sleek, modern and elegant. Pendant lighting takes a shine to any room. Moroccan-inspired pendant light pierced with an overall floral design brings an intriguing play of light and shadow to room lighting. 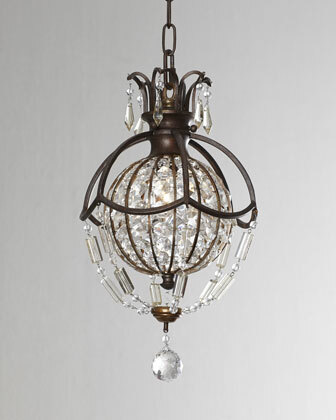 Translucent capiz shells are fashioned into flowers and edged with silvery metal to form this breathtaking 24″ sphere. To display two as shown above the table, we cut the cords to the desired link and hardwired the pendants. Open scallops and uniquely shaped rectangular crystals come together to form a captivating pendant light that dazzles the room with direct as well as reflected and refracted light. 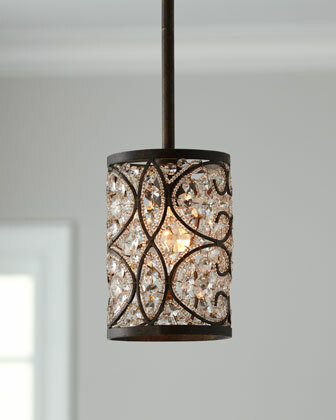 Drum-shaped pendant light is wrapped with scrolling accents filled with polished crystals. Jewelry for your ceiling teardrop—pendant light is draped in strands of crystals and finished with two levels of crystal drops. 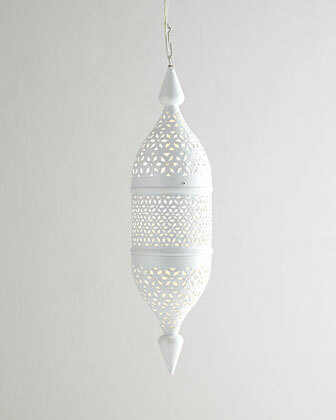 We like the patterns of light and shadows this pendant makes almost as much as we like the pendant itself. The multitude of iron strands gives it a weighty, yet graceful, presence and filters the light perfectly. 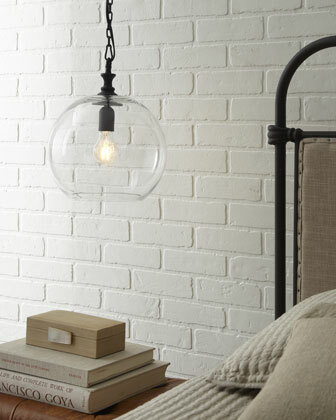 Clean, simple, unadorned, this glass-ball pendant blends seamlessly with a variety of decor styles. 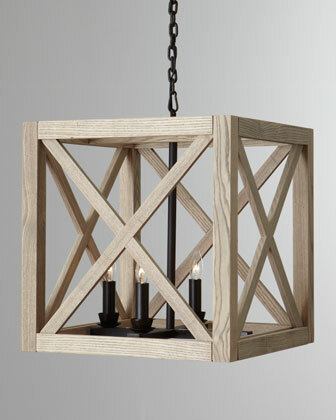 From a cubist’s point of view, this perfectly square pendant takes a rustic yet trendy approach to lighting the room. While recessed lighting creates a clean and simple light source, carefully placed pendant lighting can produce character and warmth in a space. 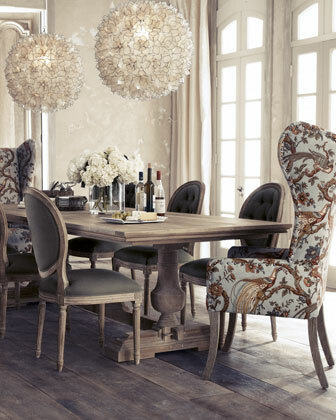 The right pendant light can even serve as a form of artwork, a centerpiece for the room. The most important quality of a pendant light is that it flows with the overall style and feel of the rest of the home. Contact us to learn more about the important design elements of a home.